Shopping for Mortal Kombat Costumes? 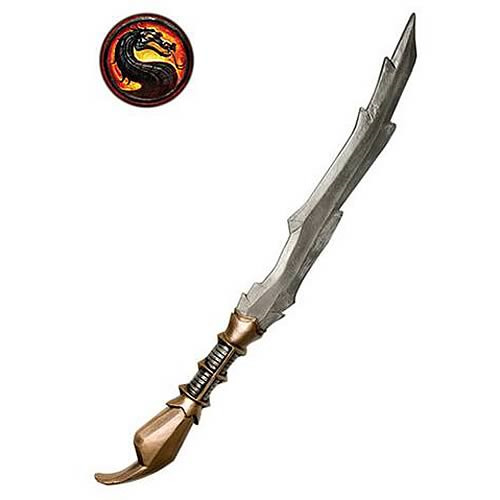 Execute your favorite finishing moves from the Mortal Kombat video game series with this plastic Mortal Kombat Scorpion Sword! If you've ever played the video games you know how intimidating the undead ninja's blade looks, especially after he's finishing off an unconscious opponent. Whether you're making the Mortal Kombat Scorpion sword a part of your Halloween costume or you just want a nifty looking prop around the house you'll love the look of Scorpion's blade!